The problem with modern rechargeable lithium battery technology – well, one of the many problems – is that over time, the materials on the inside become corroded which lessens their ability to hold a charge. While working to find a solid-state replacement for lithium, researchers at UC Irvine inadvertently stumbled upon a breakthrough that could change how future batteries are constructed. It’s not quite the holy grail of battery technology we’ve been waiting for but it’s impressive nevertheless. 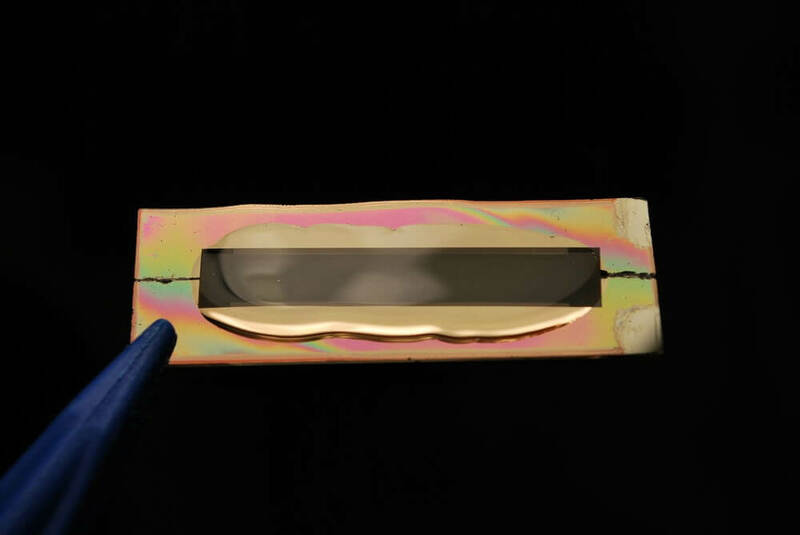 Researchers replaced the lithium with gold nanowire coated in manganese dioxide and set in electrolyte gel. Again, the idea was to replace the liquid inside common lithium batteries as they’re extremely combustible and sensitive to temperature. What they found was that the gel interacts with the metal oxide coating to create a protective sheath around the nanowire, effectively eliminating corrosion. The team cycled the “battery” through 200,000 recharges over a three-month period and noted that it lost just five percent of its capacity. According to Popular Science, the technology could lead to consumer batteries that last 400 times longer than today’s batteries. It’s worth noting that the researchers’ test platform wasn’t a true battery; that’ll be built and tested as part of future work. One of the hurdles the technology currently faces is cost. Even the tiny amount of gold used in the test platform was expensive and would drive up the cost of manufacturing. Reginald Penner, a lead author of the study, suggests that a more common metal such as nickel may be able to replace the gold should the technology catch on.